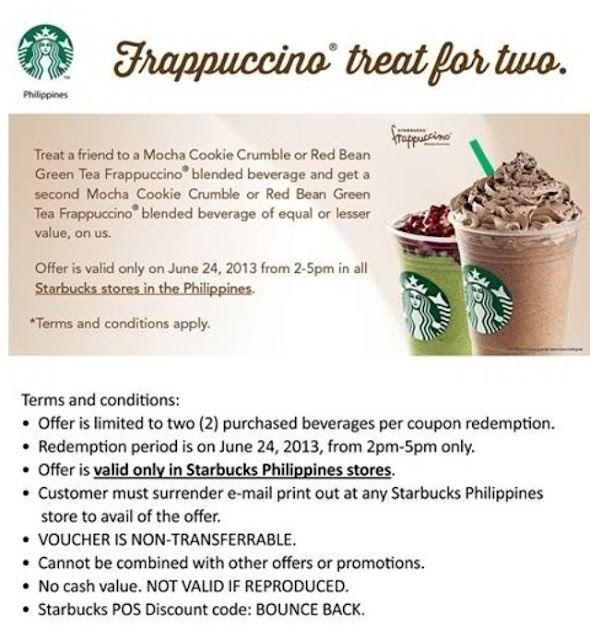 I asked Soshi for a quick coffee break date at Starbucks Zuelllig Bldg where we availed the treat. He had the mocha cookie crumble frappuccino while I got the red bean green tea frappuccino (just to sample both featured beverage). This branch is just below their office so it's more convenient for him to step out for a few minutes. The Mocha Cookie Crumble Frappuccino is both sweet and bitter. You can taste the sweetness on the first sip, then the bitterness of the espresso afterwards. I liked the combination, but as far as my taste buds are concerned, I find any Starbucks frappuccinos too sweet so I always go for the lighter options (or no syrup at all, if it's possible). The Red Bean Green Tea Frappuccino is too sweet for my taste. It's my first time tasting it (though I tried the normal Green Tea Frappuccino). I'm not sure if it's from the syrup of the red bean, but I find it tad too sweet. I love the normal green tea frappuccino (lighter options, of course), so not liking this drink is a bit odd for my taste buds. 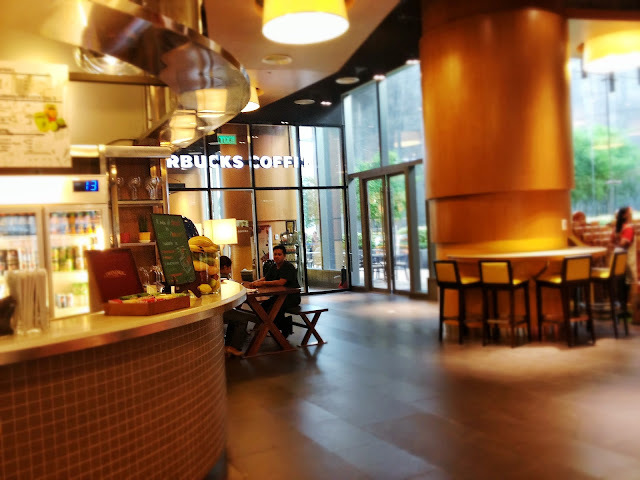 Starbucks Zuellig branch is one of the new branches that opened this year. 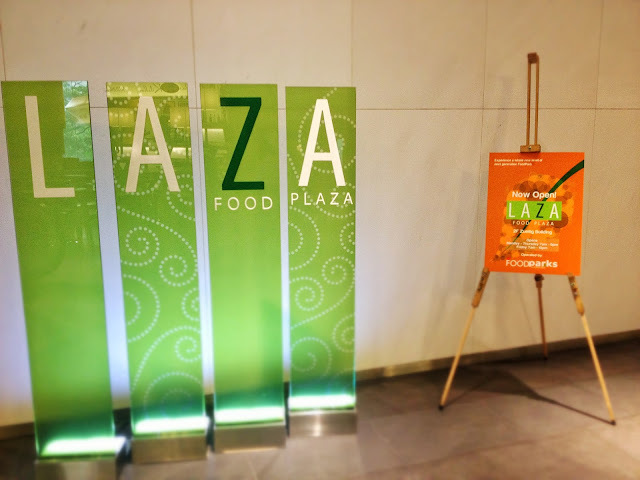 Their interiors are nice and cozy, which suited perfectly at the very posh and chic Laza Food Plaza. In this branch you can enjoy sipping your coffee while having your meeting or just chatting with your buddies because they are open till midnight. They are situated perfectly at the busiest part of the central business district of Makati.